With all the pressures on “the front end” of the life insurance industry are risk selection staff and leaders acting responsibly and with vision to improve the efficiency and the thus the image of underwriting. From financial underwriting complexities unravelled to medical underwriting shortcuts the presentation takes the audience regardless of experience into a world where speed and cost are dominant and thus prepares some tactics for successful underwriting. 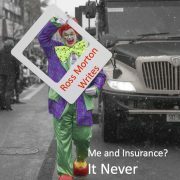 Ross’ classic spin on the future based on the reality of today. 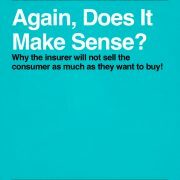 Thought provoking and controversial, the presentation tries to get people understanding where they fit in the overall scheme of the financial services business and how the comparative work is against other institutions not just insurers. Helpful scenarios in people, reinsurance, software and marketing are contained in the talk.